Start by clicking on the three lines to the left of “My Trips”. 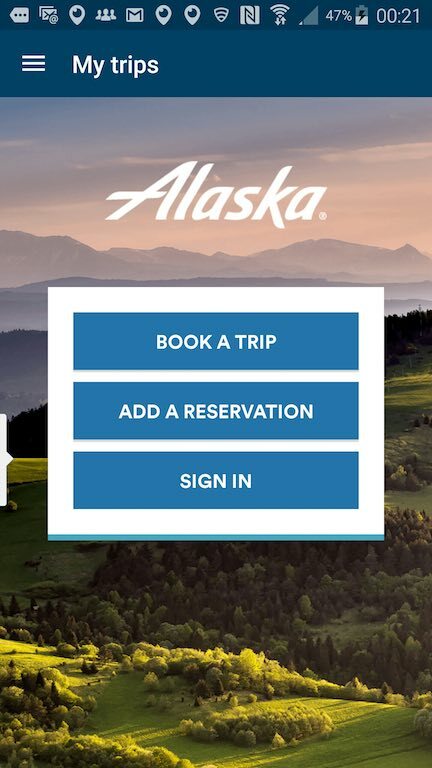 The three selections on the home page won’t help you as your reservation is non-revenue. From the above screen choose the “Track a flight” option. 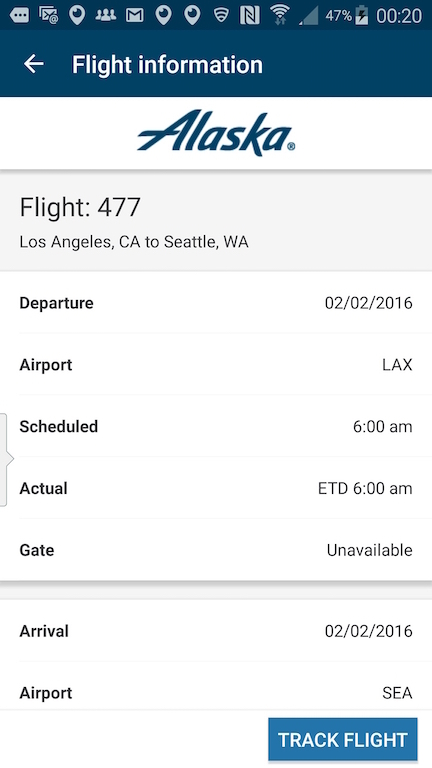 From the “Track a Flight” page, choose the “Flight Number” option or the “City Or Airport” option. 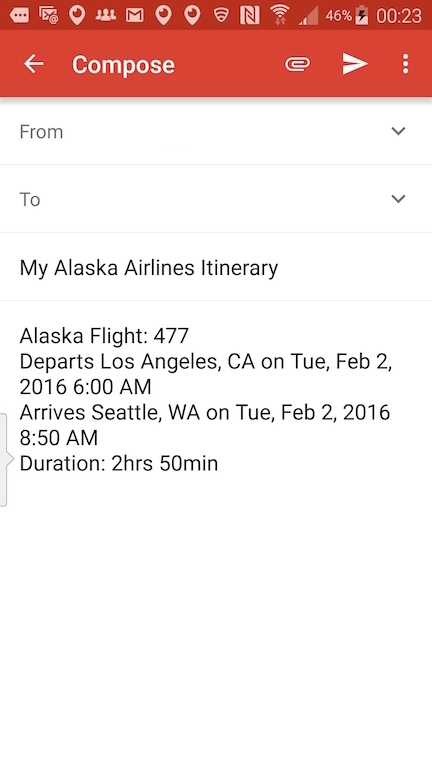 Choosing the Flight Number option allows you to just enter the flight number. You can choose “Today,” Yesterday” or “Tomorrow” from the Date dropdown box. 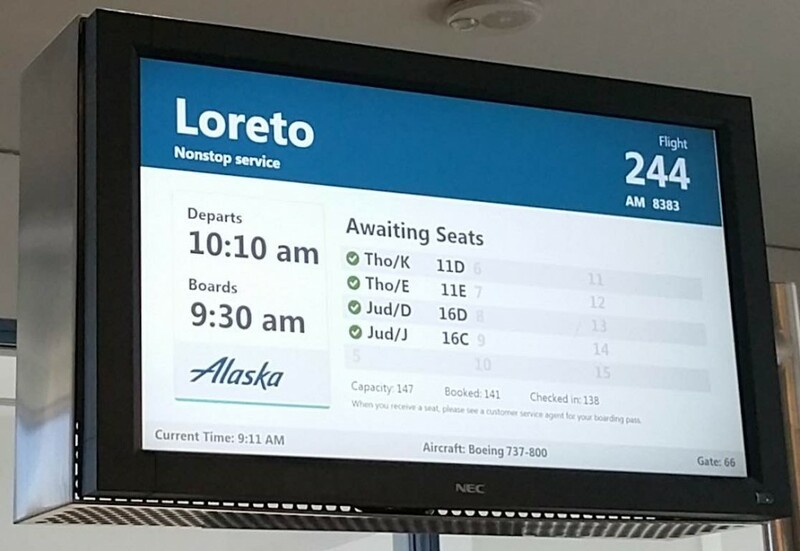 On this screen, you will receive the flight status for the flight in question. 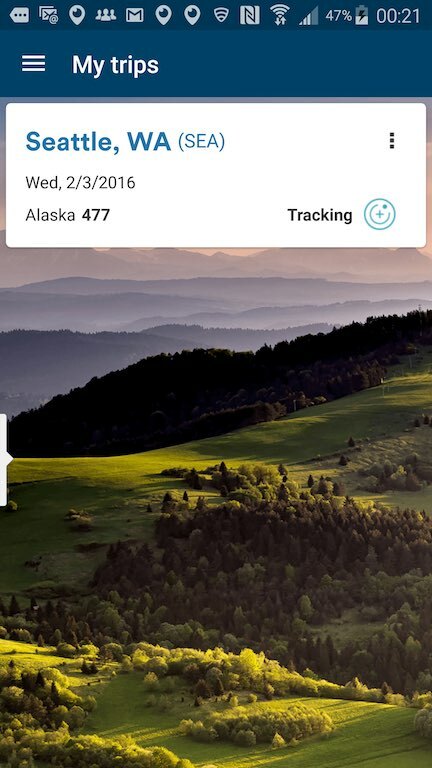 You will see a “TRACK FLIGHT” button at the bottom of the screen. Click it. This will be your next screen. 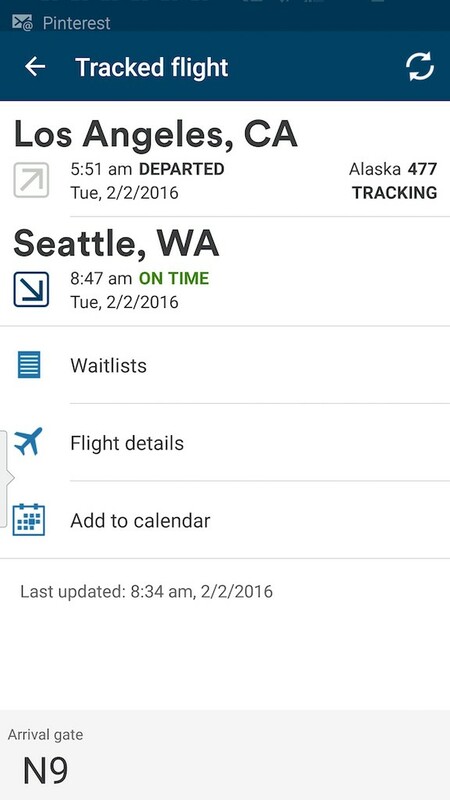 If you now click on the tracking icon, you will now be able to see a screen that gives you access to the Waitlist, i.e. the standby list. 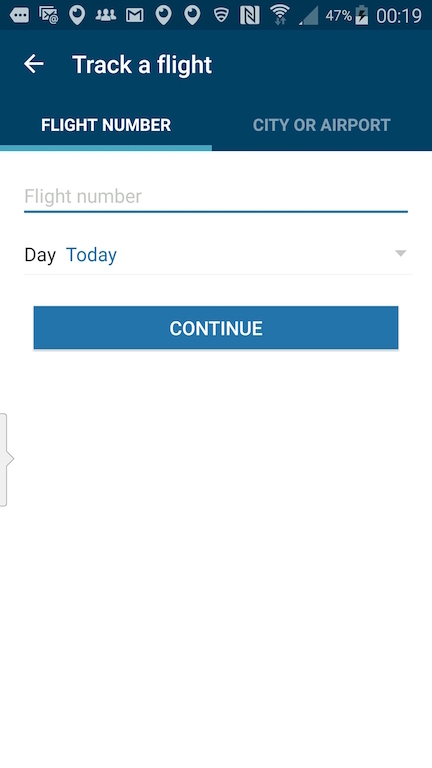 Next click on “Waitlist” and voila, you will see the standby list shown in the next screen. 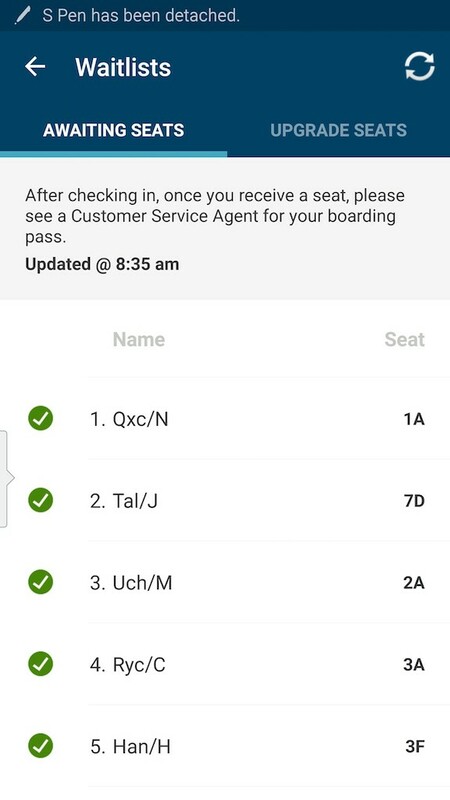 If you do not have a seat, you will not see a seat number nor a check box next to your name. If there is no one on the standby list, you will see the screen above. 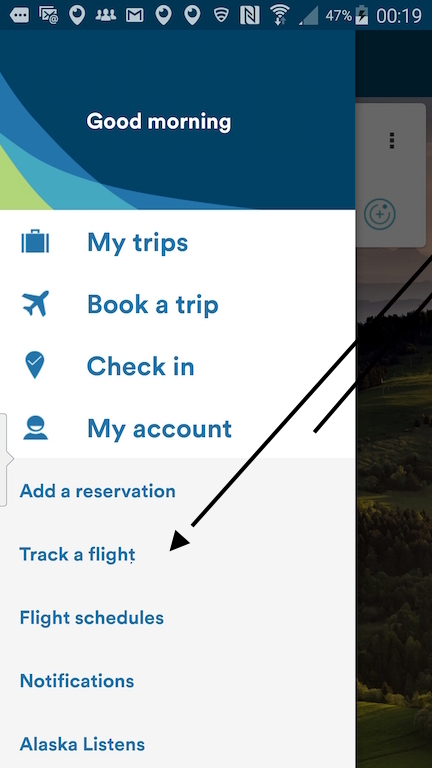 You also have the option of emailing a copy of the itinerary by clicking on the three dots on the right side of the App as shown above. 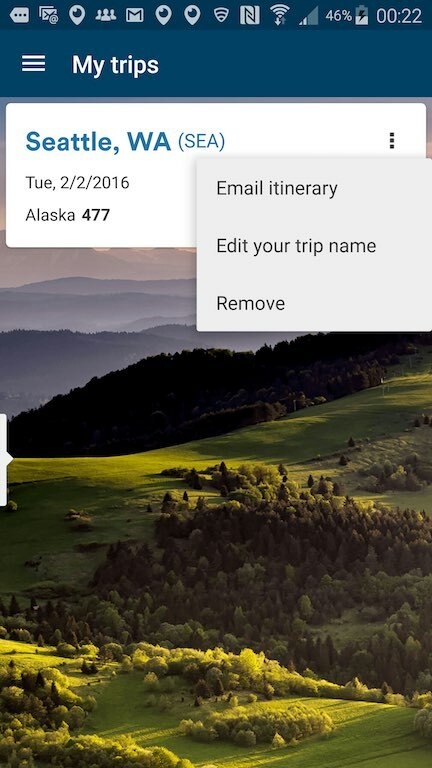 If you decide to email your itinerary, you will see the above email once you enter your email address. 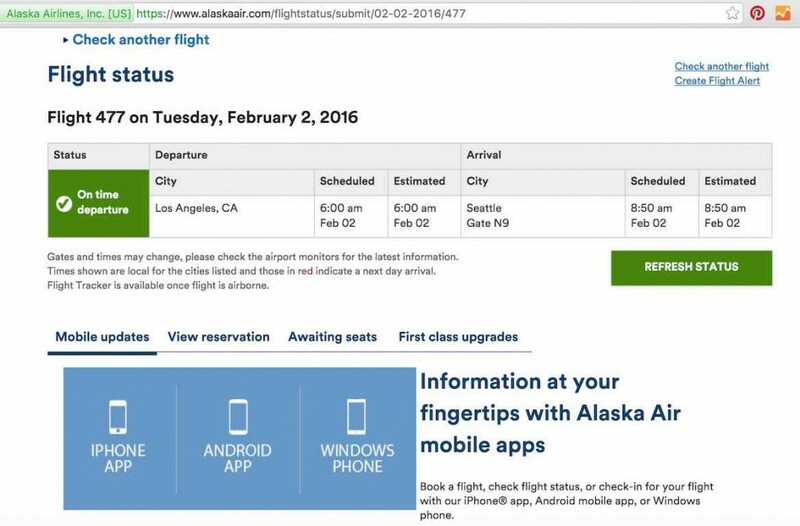 Go to Alaskair.com and navigate to Travel Info > Flight Status or just directly click here. 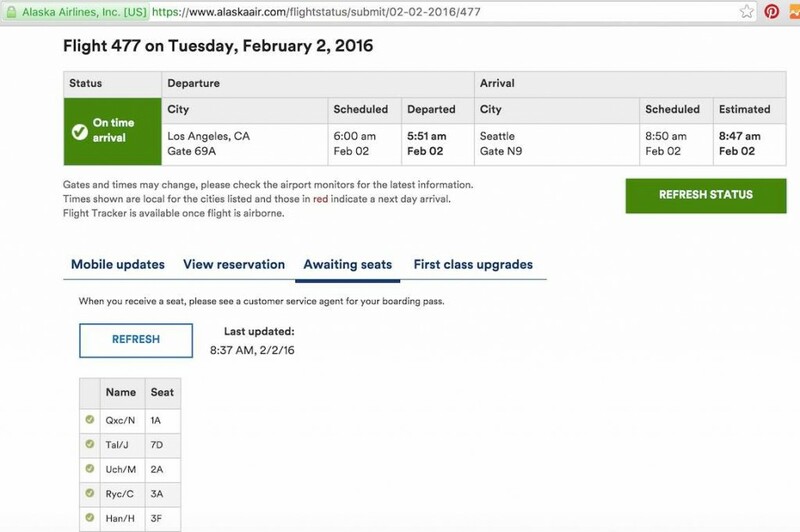 Choose your flight date; yesterday, today or tomorrow as the date indicated, useful if you are taking red eye flights or flights departing Hawaii where the time zone is so wide from say New York. If you know your flight number, enter it. Then Click the Continue button. 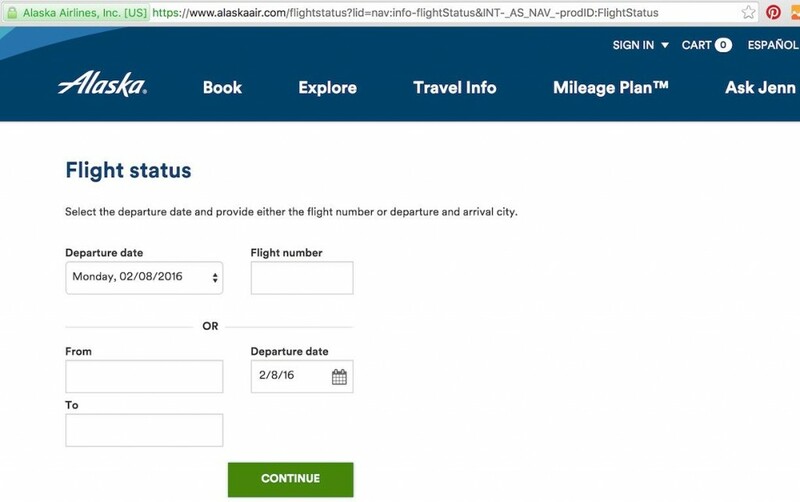 If you do not know your flight number, then enter the From and To information and then choose the date using the calendar and click the Continue button. 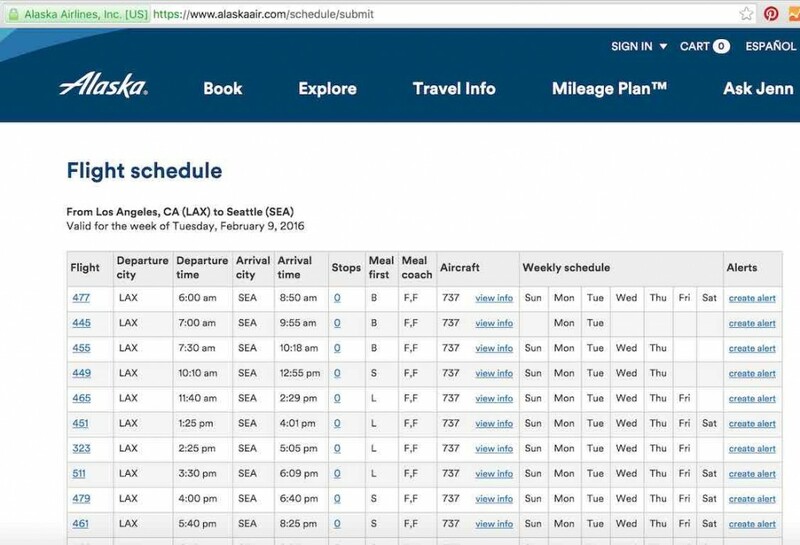 You will then get a list of flights for your route click on the flight number for the flight you want. 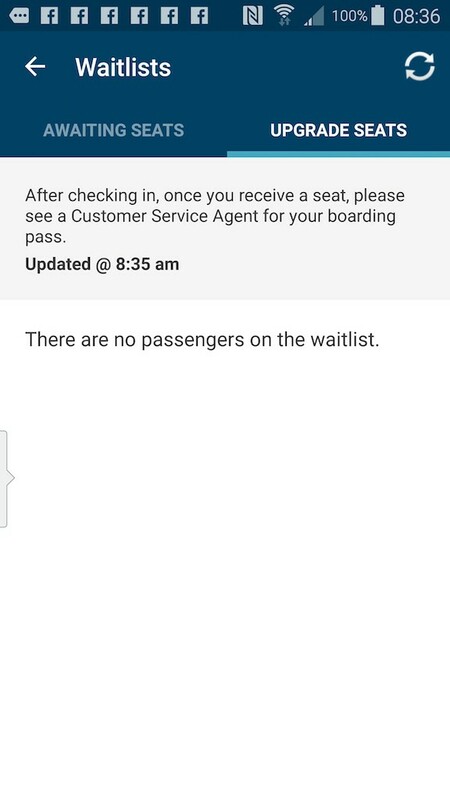 Choose the Awaiting Seats option to see who is on the standby list and where you are on the list once you’ve checked in. 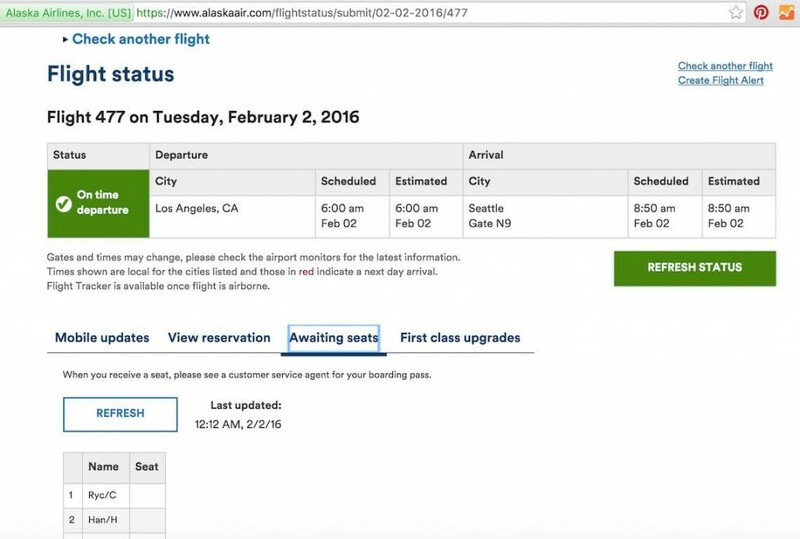 There’s also an option to see the First Class Upgrades. And finally, once you are cleared the screen will look like the above. 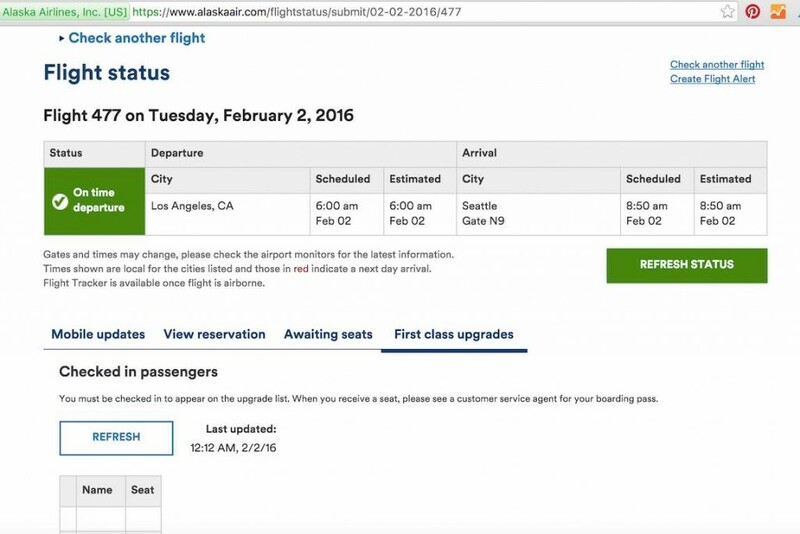 So there you have it all you need to find your position once you are checked in on an Alaska Airlines flight. If you are at the airport, you can see more up to date loads on the FID at the gate as shown above. If you’ve found this information helpful, please leave a comment below or if you have any additional information please comment below.